Minus a chassis and running gear, No. 3170 (below) spent nearly three quarters of a century on a North Yorkshire farm, and surprisingly, its fabric was fairly well looked after in the circumstances. However, at any time it could have been converted to a hen coop, left to rot as a storage shed, or worst of all, turned into a bonfire. When arch preservationist Stephen Middleton came along, he would have been praised for simply saving the body and reminding the world about its phenomenal relevance to railway history everywhere. It could have been restored as a museum exhibit, or like so many vintage wooden-bodied coaches, used as a shop, cafe or storeroom at a heritage railway station. But no. Instead he would settle for nothing less than to see this mega antique running again. 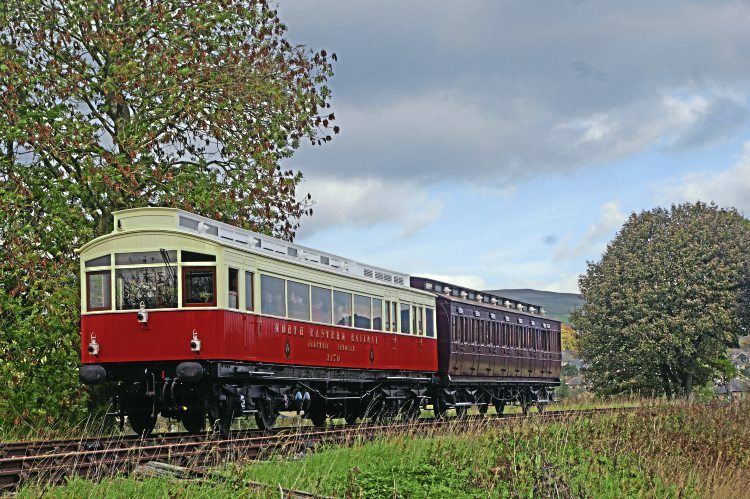 Despite many setbacks, the trust he set up battled through, and remarkably commissioned an all-new diesel engine to replace the petrol version that would no longer be allowed to run with a wooden-bodied vehicle today. No. 3170 is to 20th-century transport history what Stephenson’s Rocket was to the 19th. It is certainly ironic that we celebrate its reappearance in the same year that we commemorated 50 years since the end of steam on the national network – the form of traction for which the railcar sounded, albeit faintly at first, the death knell 65 years before. We have long had full-size replicas of Rocket – but now we have the first item of modern passenger traction running in our midst again. The HRA’s Interpretation Award 2019, again sponsored by this magazine, has this time been carried off by the Statfold Barn Railway for its magnificent Grain Store narrow gauge museum, which can give any national equivalent a run for its money. Statfold supremo Graham Lee has long toured the world in search of abandoned narrow gauge steam locomotives, repatriated them and returned them to working order in his workshop near Tamworth. However, his achievement here has led me again to ask the question – if we can do this for world narrow gauge, why not for standard (or where applicable) broad gauge too? I have long dreamed about the establishment of an international museum of world steam, based here in Britain. We have long seen pictures of steam locomotives rusting away or being scrapped in places as far afield as Bolivia, Portugal or Poland – why not bring them to the country which invented and refined the steam railway locomotive concept and create a new global showcase for them? They may not have been built in the UK or have run there, but the origin of the concept is, thanks to the likes of Richard Trevithick and the likes of George and Robert Stephenson, British to the root core, we should celebrate the technology though which the world was changed forever. Finally, in a year of surprises and sparkling special events, I was delighted to hear that Russell (above), the sole surviving original Welsh Highland Railway locomotive has run under its own steam through the stunning Snowdonian landscapes to Beddgelert, 81 years after its last visit. 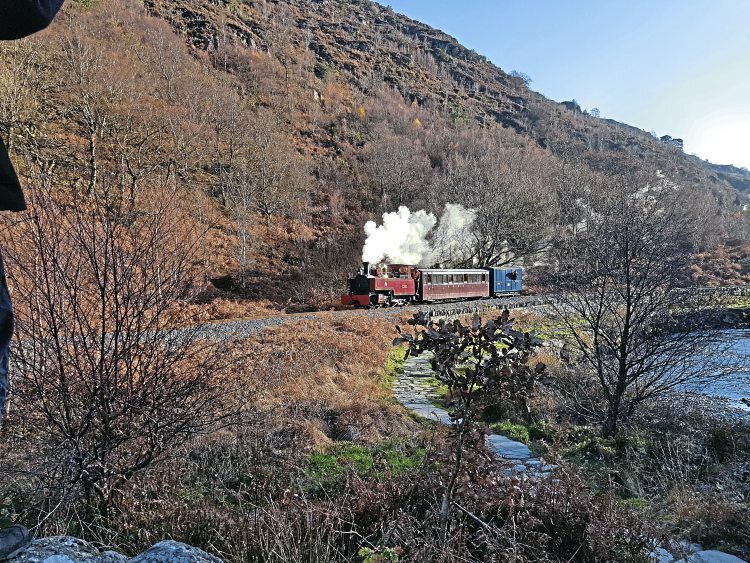 It is nearly 20 years since we announced in the first issue of Heritage Railway that the Government had given the go-ahead to the Ffestiniog Railway to rebuild this sister line, and it just gets better and better. Yet another heritage sector class act! Previous Post:Union of South Africa: main line ticket to be extended? Next Post:NER autocar: the new jewel in the crown!